Shared shuttle services is the most inexpensive way to travel via ground in Florida. We have the lowest ticket csots on shuttle service in Florida. No more worries about traffic, paying for additional parking fees and let us do the driving to the airport or cruise terminal. You can now select to be picked up from several different stations conveniently located in most major Florida cities. When using our station to station Florida shuttle service we recommend arriving at the station 15 minutes prior to scheduled departure time as indicated on the booking confirmation. If you are taking our Shared Service we understand you may not always be in walking distance. Sometimes a friend or family member can drop you off at one of our convient shuttle stations in town. Other travelers choose to take the hotel shuttle that often will drive you a few miles from the hotel you are staying at little or no charge. If that is not an option, for just a few bucks, Uber or Lyft is an excellent choice to get to the station for your intercity florida trip. Up to half the price of using a taxi cab, our private shuttles are the premier way to travel by ground in Florida. 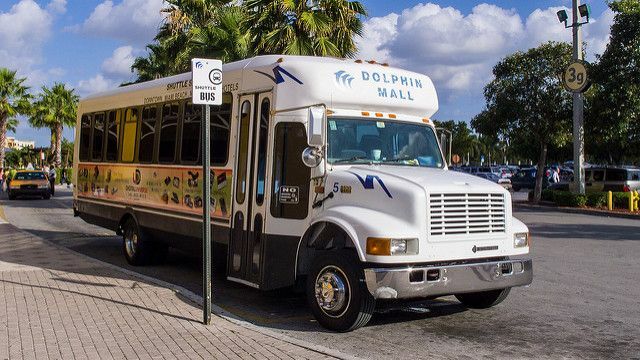 Florida Shuttle Now will pick you up right from your home, office, or hotel using our spacious shuttle van and get you to your destination at your specified time and date. Millions of passengers have used the Private Transportation Shuttle for added convenience and peace of mind! We do our very best to deliver the most convienent travel experience to your cruise vacation. Due to Florida Port Regulations and Security measures only passengers with valid cruise tickets are allowed be dropped off at the cruise terminal. Therefore if you are taking our shared shuttle you will be dropped off at our designation shuttle station 5-10 minutes from the cruise terminal. If you want to added convenience to be dropped off directly at the cruise terminal you will need to book private shuttle transportation. You can do so directly on our website through the booking system. This will give our driver access to the cruise terminal and get you dropped off right in front of your cruise!